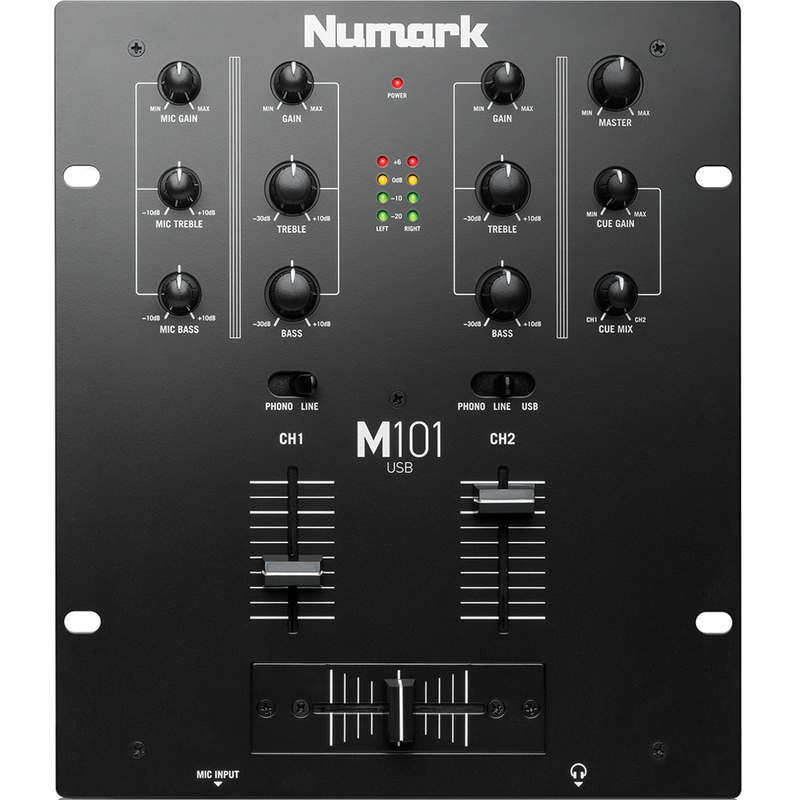 The M101USB from Numark is a highly adaptable 2-channel mixer with USB for virtually any DJ. Connecting M101USB to your computer is a snap using a single USB cable. Once connected you can use your computer as an audio source or record your sets straight to your computer's hard drive. M101USB is also rack-mountable, highly durable, and lets you get up and running quickly. With its built-in audio interface, it’s perfect for DJs who want the option of working with their computer as well as traditional analogue I/O. 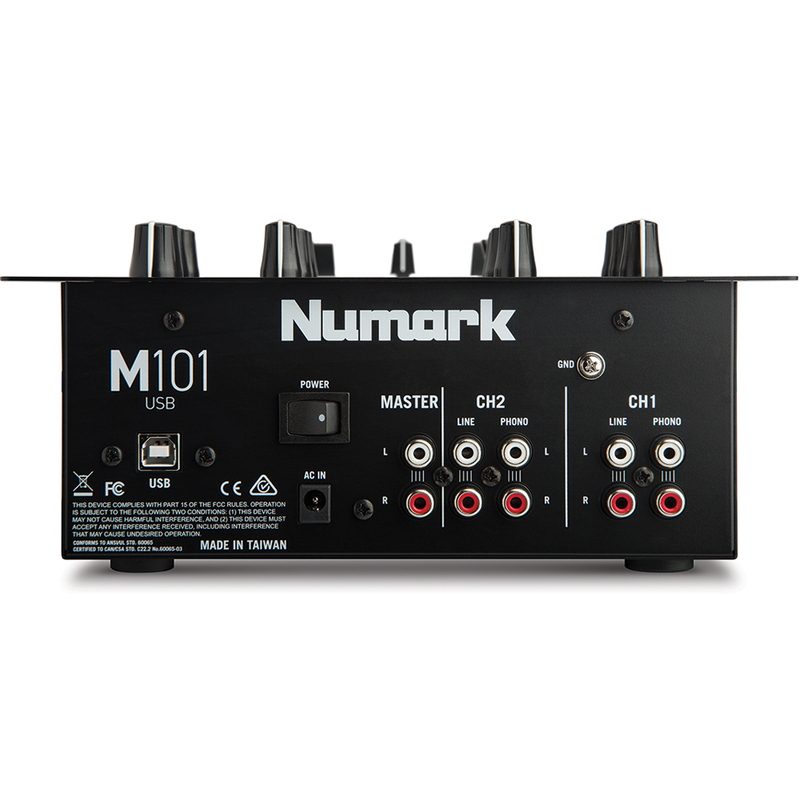 M101USB has a built-in 2-band EQ so that you can fine tune your mix depending on the room or the tracks themselves. Two pairs of switchable Phono/Line inputs are included along with a crossfader, ¼-inch mic input and stereo RCA line output for connection to an amplifier, powered speakers or another mixer. M101 USB is also Class Compliant, and immediately compatible with every current and future version of Mac OS X and iOS and with Windows (98SE and up) operating systems. Absolutely brilliant product would highly recommend for beginners and veterans superb. Fast delivery too and great communication. So easy too set up 10/10? 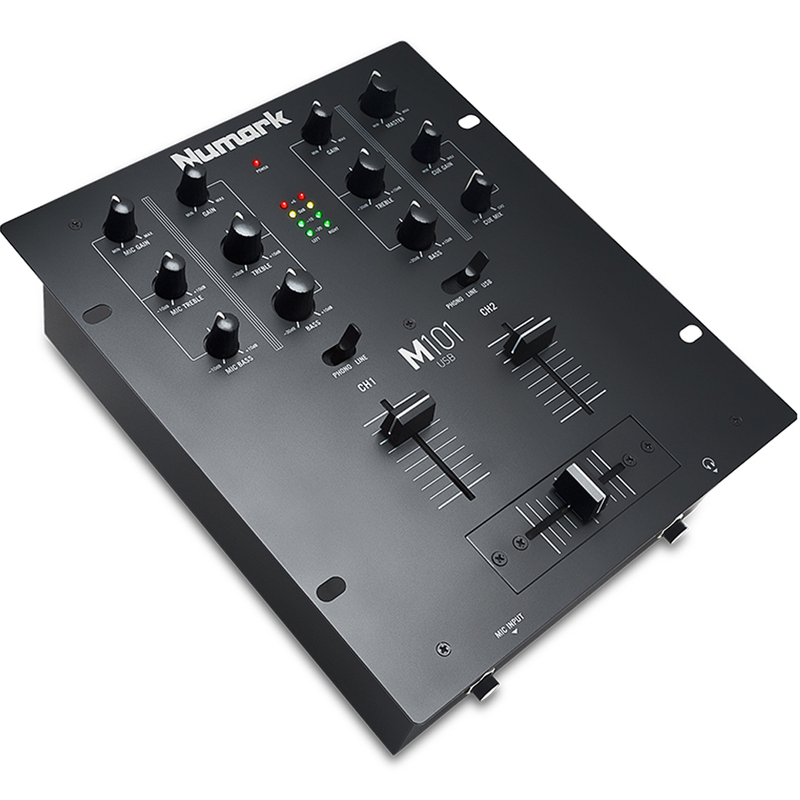 The mixer has a quality feel, the faders are not stiff so it could be used for scratch DJing. The USB feature is great value for a mixer at this price point.